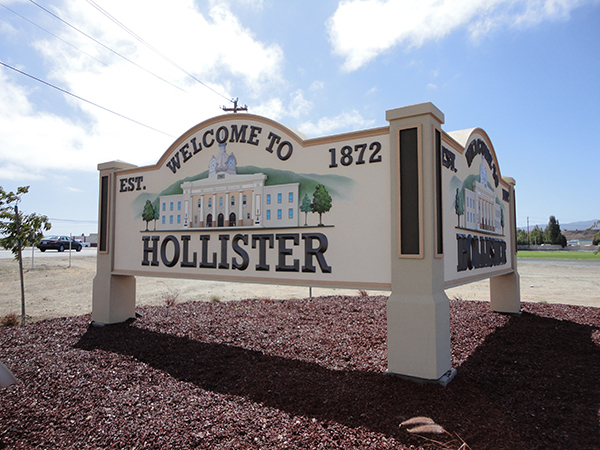 As the largest city in San Benito County, Hollister is primarily known as an agricultural town. Hollister experiences a Mediterranean-like climate, making it an ideal city to live for singles and families alike. Signs By Van is honored to have designed and fabricated many agricultural signs that are now apart of Hollister’s scenery. Whether you need a custom painted sign to display directly at your storefront, or large-scale signage that can be seen from a distance, Signs By Van has you covered. Our professional sign makers will work with you from the beginning phases of design, to the sign installation. Check out our sign gallery and see our prior works of art that can still be seen throughout Hollister and California. Contact Signs By Van today!